New laws to extend the High Speed 2 line will be announced in tomorrow’s Queen’s Speech as part of a drive on key infrastructure projects. A computer generated image of artist impression issued by HS2 of the proposed HS2 station at Euston. Legislation to encourage space rockets to be launched from UK soil and to spread the use of electric cars will also be included in the two-year programme, which will otherwise be dominated by Brexit. A Bill that will allow the extension of the HS2 rail project from Birmingham to Manchester will be announced in the Queen’s Speech. 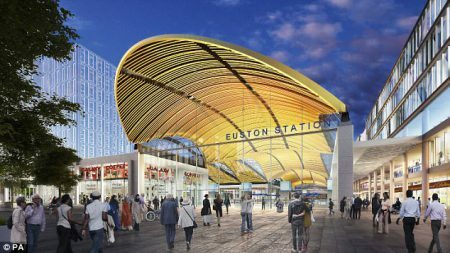 Officials say that as well as providing quick trains to London, the development will expand capacity on commuter lines. 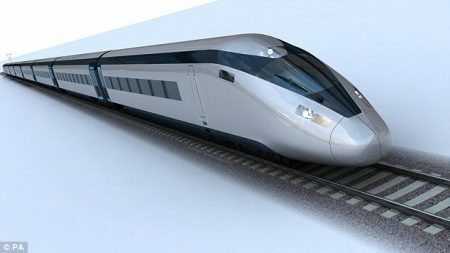 Phase one of HS2 London to Birmingham has been approved by Parliament but even by the most optimistic estimates will not be completed for another decade. Ministers said they want to establish spaceports in ‘regions across the UK’, to allow satellites to be sent into space for the first time from UK soil, and to allow spacecraft to fly to the edge of the atmosphere. Satellites cannot currently be launched from the UK. The new law will allow ministers to licence various space-related activities including rockets, ‘space planes’, and satellite operation. Other powers will make it easier for drivers of electric cars to register to use charging points. There are an estimated 100,000 electric cars and vans on Britain’s roads. It may take a while for people to trust the vehicles enough to use them, but Leriche said acceptance may not be that hard to get. 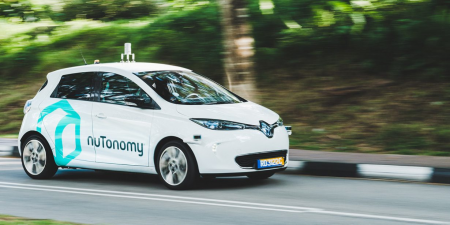 Transdev has surveyed users in autonomous shuttle tests about the service and quality, and more than 90 percent were excited about the service. 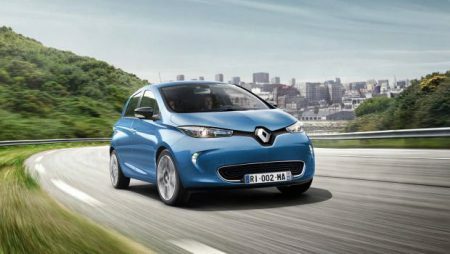 Renault has launched a smart energy system, which looks to make use of second-life EV batteries for domestic and commercial energy storage. 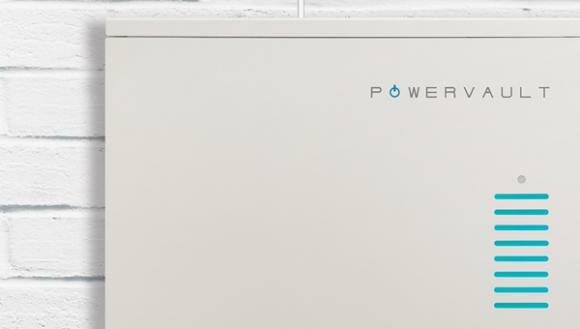 Partnering with Powervault, the system will undergo trials with customers who already have solar panels installed. A total of 50 units will be involved in the trial, which will involve eligible M&S Energy customers along with social housing tenants and schools in the South East. The system stores energy generated by the solar panels for use when the demand is greatest. It also allows owners to charge from the grid at off-peak rates, for use during peak times. 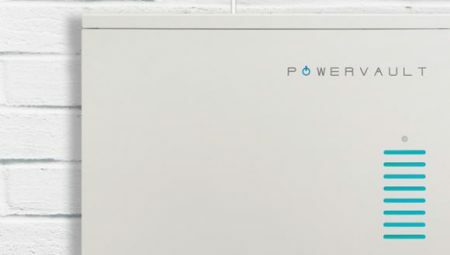 Powervault will use batteries that have come to the end of their usable EV life from Renault, as the French manufacturer enters the home energy storage market like its group partner Nissan, and other plug-in manufacturers Tesla, BMW, and Mercedes Benz. OAKLAND, CA (May 31, 2017)—Everywhere in the US, driving electric is cleaner than driving a typical gasoline-powered car. That’s truer now than ever before, and the advantage electric vehicles have over comparable gasoline cars is only continuing to increase. 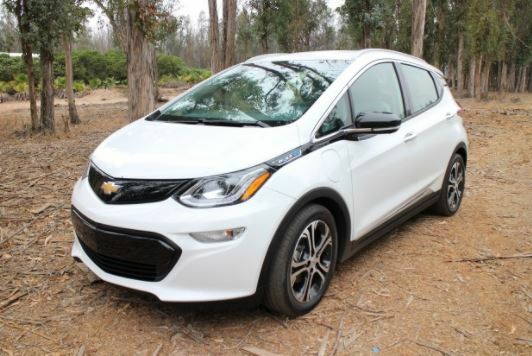 New analysis by the Union of Concerned Scientists (UCS) shows that in 70 percent of the country, driving electric produces fewer emissions than driving a traditional gasoline car that gets 50 miles to the gallon. On average, today’s electric vehicles are as clean as gasoline cars that get 73 miles to the gallon. That’s thanks in large part to significant improvements in power generation, with more regions cutting their use of coal and increasing investment in renewable energy sources like wind and solar. said David Reichmuth, senior vehicles engineer at UCS. 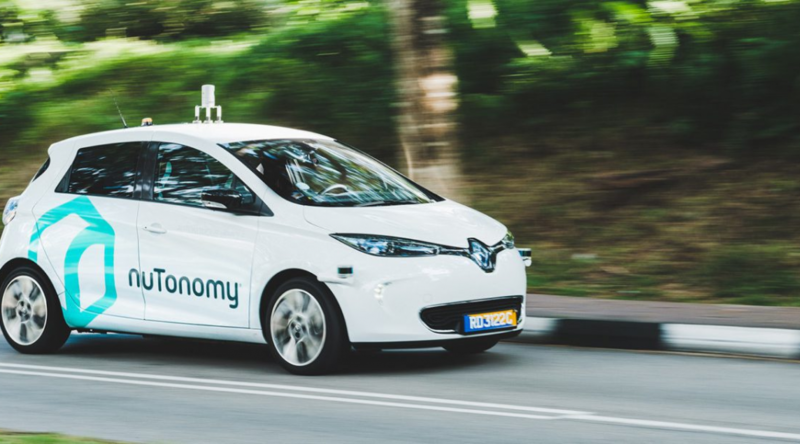 Over their whole life cycle—from manufacturing to driving to disposal—electric vehicles produce half the emissions of a comparable gasoline vehicle. By far the largest share of emissions comes from driving, which is where electric vehicles have a big and growing advantage. The new analysis is based on updated numbers on power generation from the U.S. Environmental Protection Agency, which show reduced greenhouse gas emissions from power generation in most of the country over the past five years. UCS has also updated an interactive online tool that drivers can use to learn how much cleaner different models of electric vehicles are where they live, as well as a map showing how electric vehicle emissions compare across the country.